Bare Root Mountain Ash or Rowan Tree (Sorbus aucuparia) Click the link for Containerised Mountain Ash and for more information. 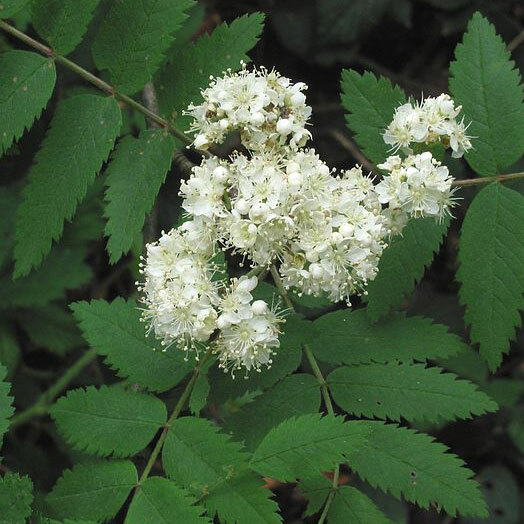 This is spreading tree with rich green leaves that turn almost florescent red and yellow in autumn and clusters of small white flowers mask the tree in late spring. Crimson berries in autumn with great foliage colours. 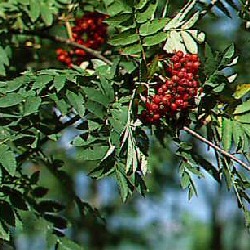 Mountain Ash or Rowan is a conical-shaped tree and ideal for a small, urban gardens even those in colder parts of the UK. It will tolerate coastal and exposed conditions, wet sites, chalk and clay although shallow chalk it may suffer. A medium height tree, so expect a height of around 6-8m after 10 years. Mountain Ash is quite a columnar tree so expect its width to be around a third of its height. 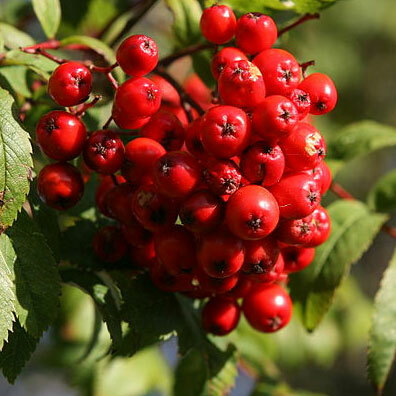 Our mountain ash (sorbus aucuparia) is supplied at a height of 1.5-2.0m and will be a minimum of 2 years old depending when in the year you buy them. Should you require more than one tree then you may want to look at our WHOLESALE MOUNTAIN ASH section.